With private lessons you get good follow-up by your own instructor, who sets up the hour according to your needs and at your own pace. Do you want to improv your skiing skills, get a nice introduction and learn the basics of alpine skiing? Then you may want to take one or more private lessons. You meet the ski instructor in the alpine center at Skikroa (the skirental and cafeteria). If you want to rent equipment, you need to give a message about this and meet a little earlier. The ski instructor is pleasant and accommodating, and wants everyone to have a good experience on skis and have a nice day at ski school with us. 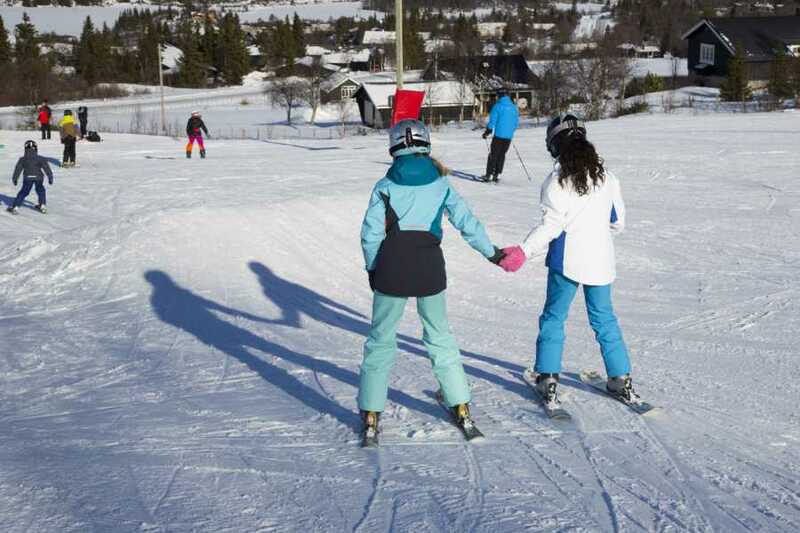 The ski school is mainly in the children's ground, this is a nice slope with a easy lift, nice for beginners of all ages. We hold group lessons and private hours. Send a request for what you want or if you have any questions. Organizer: Vaset Aktiv in cooperatinon with Vaset skiheiser.